New look window at Rubywaxx Les Mills! Rubywaxx Les Mills has a great new look. 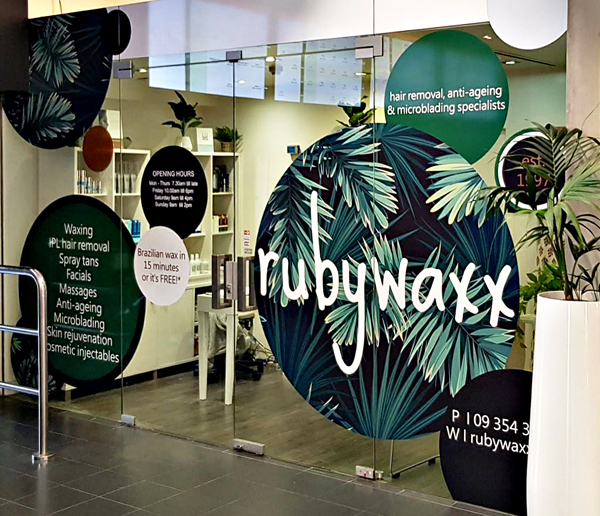 Rubywaxx’s origins go all the way back to 1997 – so in time for our 21st birthday, we’re gradually rolling out a new look, which also celebrates the company’s new ownership. By the time your read this, our new window at Les Mills will be in place – we hope you like it! We really appreciate your loyalty to Rubywaxx over the years, and are excited that you’re a part of our new journey going forwards.